Presented by Phillip Ward and Laurence Watts in cooperation with Crisperanto: The Quentin Crisp Archives, MB Books and Victoria Hollis Gallery, and with generous support from Leslie-Lohman Museum of Gay and Lesbian Art. 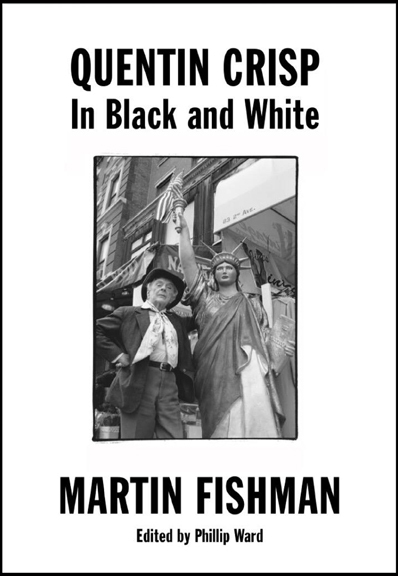 THE LAST WORD: QUENTIN CRISP IN BLACK AND WHITE is a celebration of the life of Quentin Crisp through a selection of photographs by New York street photographer Martin Fishman. 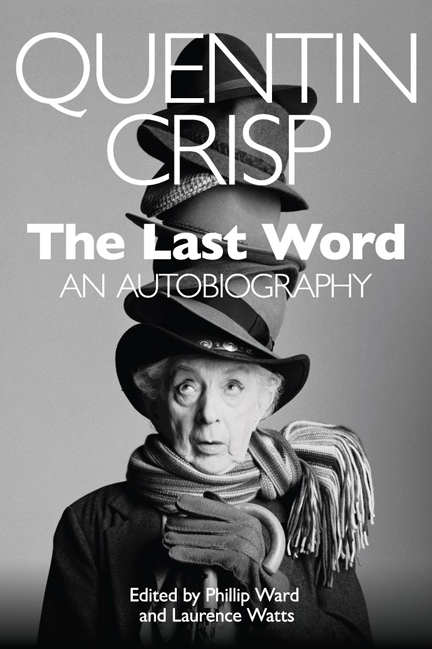 The exhibition marks the release of Quentin Crisps final book "The Last Word" (co-edited by Phillip Ward and Laurence Watts), the third and final installment of Quentin Crisps autobiography, published by MB Books. Also, it is Victoria Hollis Gallery's release of Martin Fishmans photography book titled "Quentin Crisp in Black and White" a photography book of Quentin at home and in various scenarios, and so unlike the public persona, we grew to know and expect. The release date for both publications is November 21, 2017, and this event is the official book launch for the two books. THE LAST WORD: QUENTIN CRISP IN BLACK AND WHITE, at Leslie-Lohman Museum of Gay and Lesbian Arts Project Space (127-B Prince Street), opens at 12pm on Friday, November 24th, and closes the evening of Sunday, November 26th. The closing reception will be on Sunday afternoon from 3-5pm. The daily hours for the exhibition are from 12-6pm. On Saturday and Sunday, the 25th and 26th, from 3-5pm, performers and readers, especially persons who either worked with Quentin or were friends, are invited to read from The Last Word, How to Become a Virgin, and The Naked Civil Servant, or present their Quentin-related performance. All attendees are encouraged to participate in the readings and performances. A Q&A session will follow the readings, and Phillip Ward will be available to answer questions about Quentin Crisp, Martin Fishman, and the books: "The Last Word" and "Quentin Crisp in Black and White" and both books will be available for sale during the exhibition. The exhibitions reception will be during Sundays 3-5pm reading presentation and until closing hour at 6pm. Book cover photographs by Joseph Mulligan and Martin Fishman. Site Copyright © 19992017 by the Quentin Crisp Archives.